As should go without saying, serving in the military is a big sacrifice for anyone who does it. Although the service people who risk their lives overseas bear the biggest risk, their decisions also affect their families and loved ones who have to wait patiently at home. When you care about someone else, the knowledge that they are in harm’s way can make it hard to think straight and hard to sleep. When our loved ones finally come home safe and sound, it’s a relief unlike any other. That was what happened in the touching video below. The clip was originally loaded to YouTube by user Artzy Ep. As the clip begins, the cameraman explains what’s going on. “Hey guys, we’re surprising my sister,” he says. 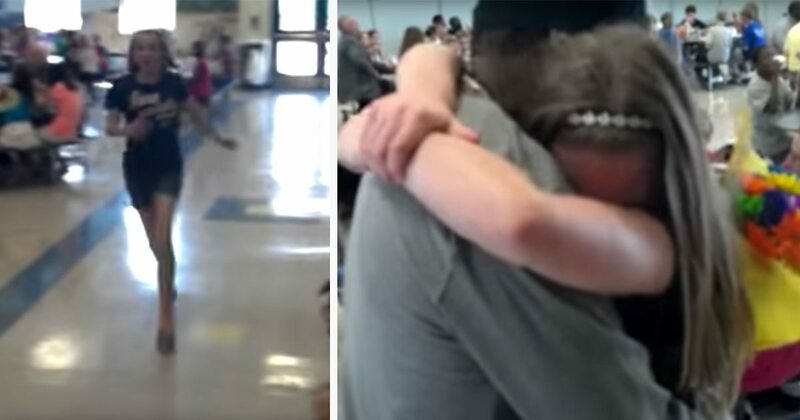 “Stepdad came home so we’re about to go into the cafeteria to surprise them.” One of the school’s teachers leads the stepdad and the cameraman down the hall—and the excitement is palpable. “This is going on YouTube, by the way,” the cameraman says. 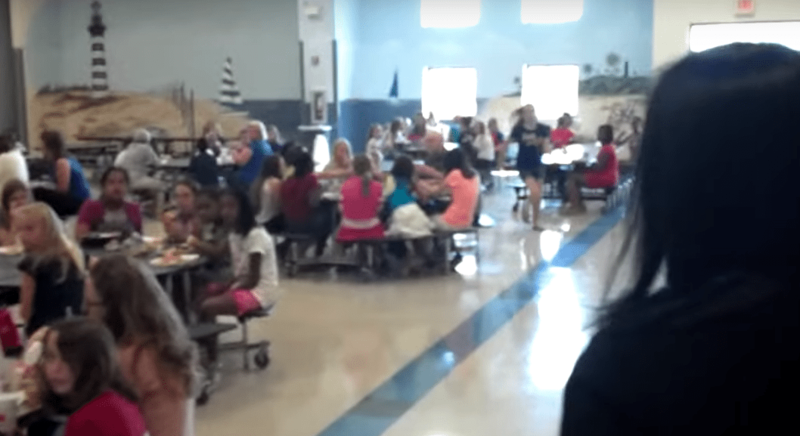 As they come around the corner, they scan the cafeteria crowd for the man’s stepdaughter. 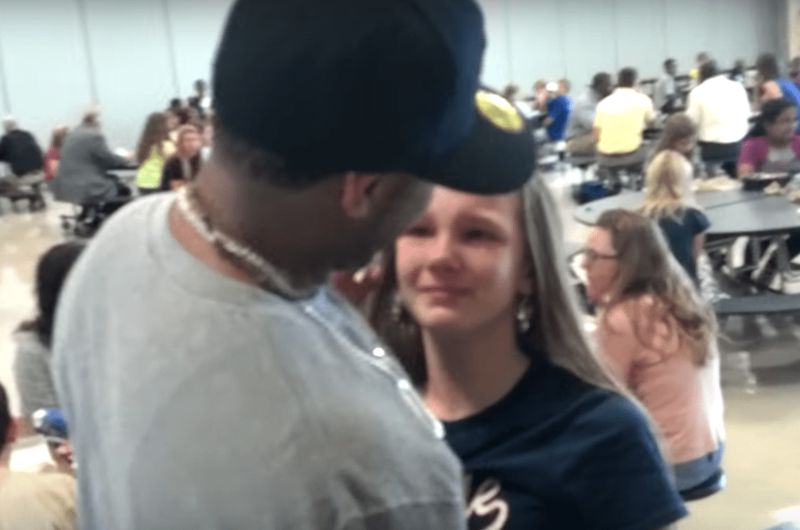 In almost no time, the stepdaughter gets up and runs across the cafeteria to her dad. Her stepdad greets her and the two share a huge—to make things even sweeter, the stepdad even brought balloons for the reunion! The moment is obviously filled with relief and love on both sides (with plenty of happy tears to go around). At the end of the video, dad decides to sign his daughter out so that they two can share some much-needed quality time together. So far, the video has been viewed more than a million times on YouTube. There are so many things to love about this adorable clip. To begin with, the relationship between this man and his stepdaughter has clearly transcended the normal standards of a step- relationship. The two clearly have an incredible bond and love each other very much. 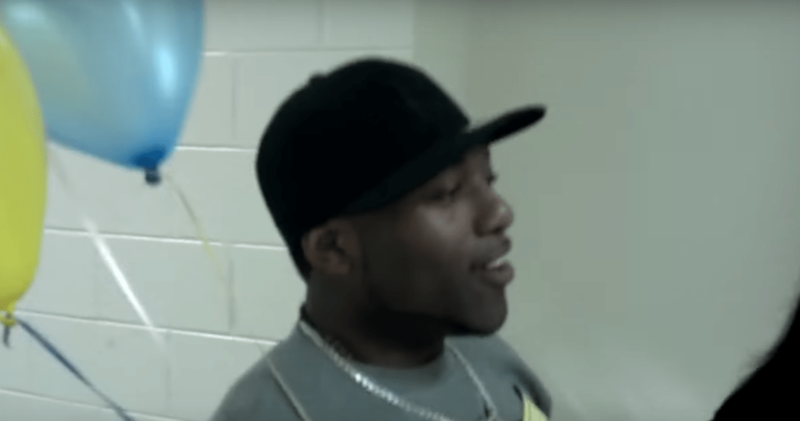 On top of that, the man’s balloon surprise is adorable in itself—and we all can’t help but feel enormous relief that the two are reunited once again. While we commonly think of military service as affecting only those who go overseas, this clip proves that that burden is also shared by those who stay behind. Still, it also makes reunion that much sweeter! Congratulations to this family for finally getting back together again!